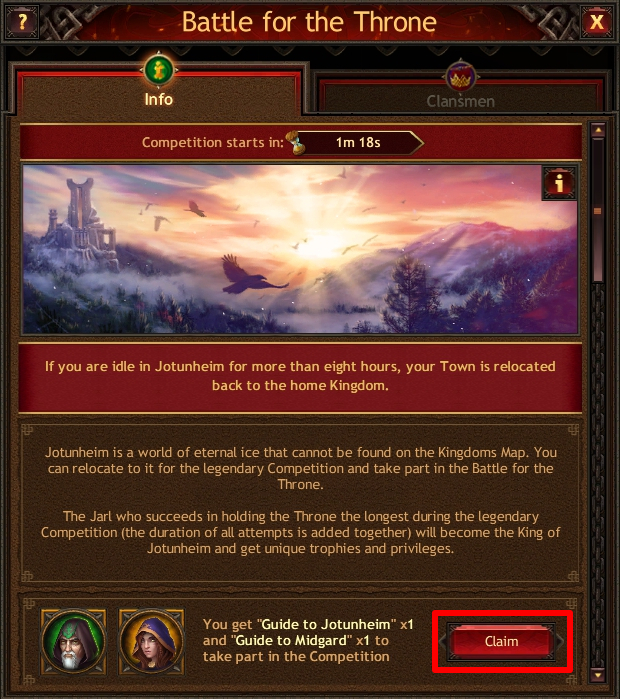 Jarls who are a Clan members relocate to Jotunheim using the special Guide to Jotunheim item. You can only enter the world of eternal ice during the Battle for the Throne. 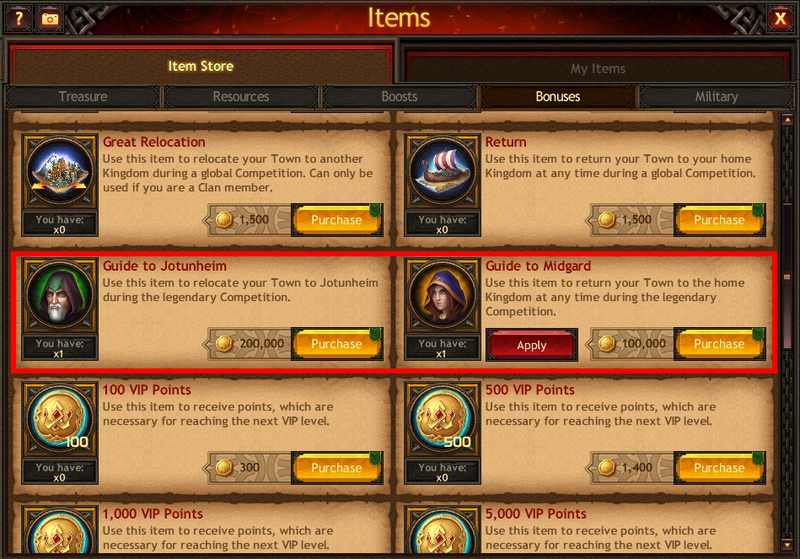 The Guide to Midgard item allows Jarls to return from Jotunheim to their home Kingdom before the Competition ends. You can purchase these items in the Bonuses section of the Item Store, in the Clan Store, as part of Bank offers, or in the location info window in Jotunheim. Also, each Jarl who is a Clan member can get both items for free by opening the legendary Competition block in the Events window. 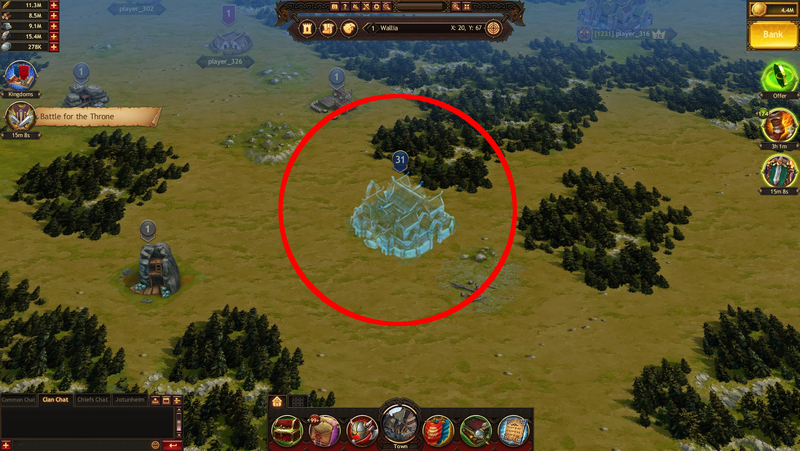 After your relocation to Jotunheim, a Town Echo is left in your Town's place in the home Kingdom. This is a special object that keeps other Jarls from taking your territory. Your Town will be returned to the Town's Echo spot when the Battle for the Throne is over, or after 8 hours of inactivity in Jotunheim. Once in Jotunheim, you can relocate within it using the Relocation or Random Relocation items. If you had an active Peace Treaty, Town Skin, or a Repute given by the Konung when you relocated to Jotunheim, they will continue to be active there.